So one of my favourite ways to celebrate at themed parties is themed cookies. 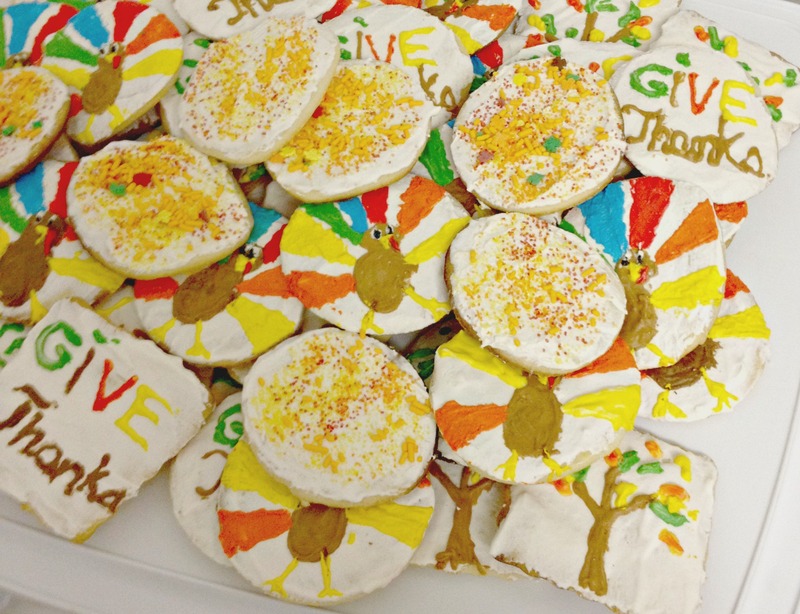 I love love love sugar cookies. First of all they’re delicious, second, almost everybody I know loves them, and third, they’re so customizable! No wonder this recipe was one of the first I perfected in all my party-planning prep, and one of my all time favourites. After all this practice I’ve managed to get it down to a science! 2.Cream together softened butter and icing sugar. If you’re using a mixer, use the paddle attachment for this recipe. 3. Crack the egg into a separate bowl, and add the vanilla. Add that to the butter sugar mixture and mix until the egg is thoroughly incorporated. 4. In a separate bowl, sift together the flour, baking powder, and salt, then add little by little to the mixture. You’ll start noticing the dough sticking to the paddle in chunks. When you give it a little poke it should have a bit of flex but not too much. 5. Roll out the dough to about 1/4 an inch thick (use flour for dusting if you need it!) Cut and bake at 400 degrees for 7-8 minutes. Keep an eye on your oven because of course there’s room for error in the cooking times. This version makes 2-2 1/2 dozen. 1. Begin by stirring the vanilla into half the water in a separate bowl. 2. Using a paddle attachment, gently mix the icing sugar and meringue powder in your mixer. 3. With the mixer on it’s lowest setting slowly add the water/vanilla mix to the dry ingredients. As the water is added, the icing will become thick and lumpy. 4. Continue to add the remaining water (you might not even need the whole amount) until the mixture reaches a thick, honey like consistency. At this point, turn the mixer to medium speed and whip 2-4 minutes until this icing is thick and fluffy. Mixing time can vary greatly so watch carefully and stop mixing when the icing is this enough to form a soft peak. In terms of decorating, I think our skills have developed as we’ve started using cookies more and more as table decor (the best kind of decorations are the ones you eat afterwards!). 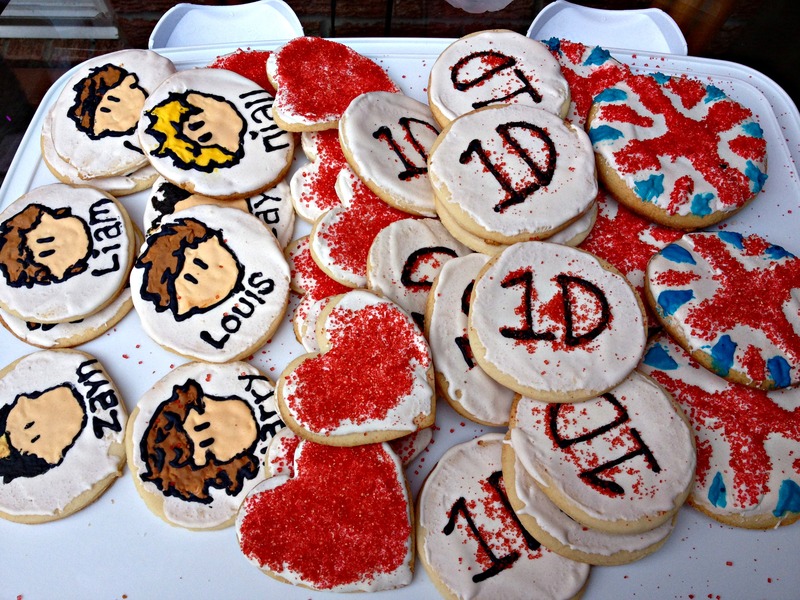 Definitely the first time (the One Direction cookies for a birthday party we featured a while back) took a lot longer. 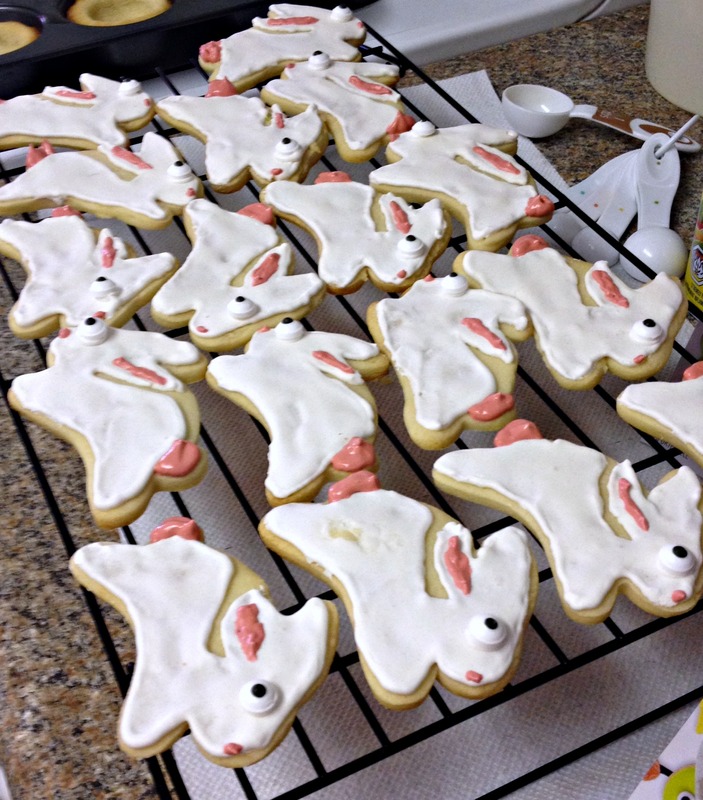 The thing about royal icing too is that you’re making white icing. Any colour you want you have to dye. You can get some good deals on Wilton dyes at Party City and Michaels in little packs of different colours, and those are definitely our favourites because the colours come out really true to what the dye advertises, so it saves you some time playing with food colouring and mixing. So that’s that! We loved the idea of sharing some of our favourite recipes, so stay tuned for more of our party menu successes!